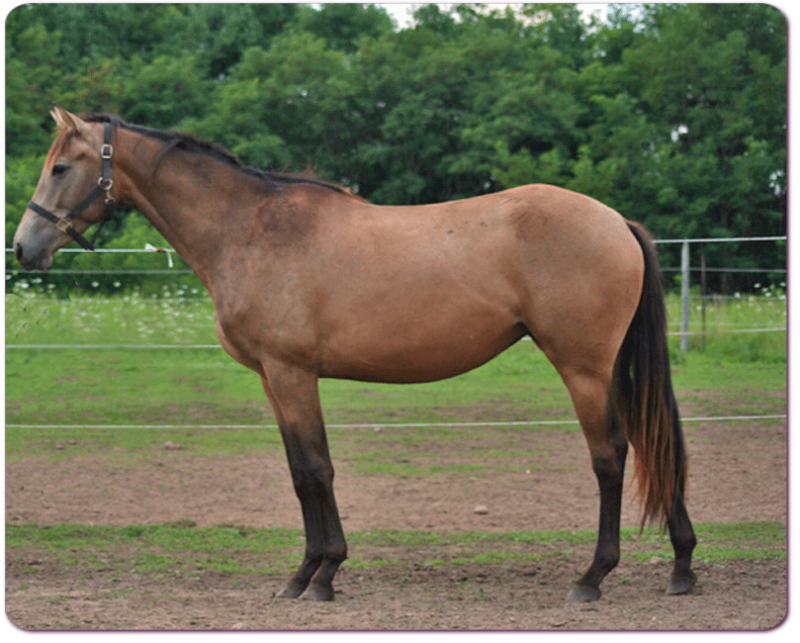 Copper Twist (barn name Caluhua) is a gorgeous buckskin Thoroughbred filly born March 22, 2008. Copper Twist is out of This is for Gran (by Birdonthewire) and by Guaranteed Gold. She is our only Guaranteed Gold foal for 2008. Caluhua is a full sister to Annie up the Gold who resides in Arizona at Color World Ranch. Copper Twist is registered with the Jockey Club.